Explore All of the Fun and Excitement at L.A. Live! One great thing about Los Angeles is that there is always something to do. No matter what you and your friends are looking for, you’ll be sure to find a fun place for everyone to enjoy. If you are looking for a night out on the town, wanting to go to restaurants, bars, or walk around, then L.A. Live is the place for you to be! It’s not called “the most entertaining place on the planet” for nothing. 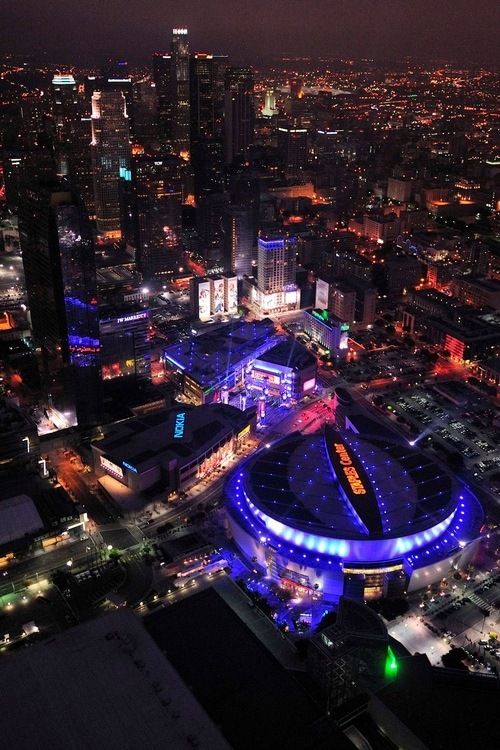 For those staying at hotels close to LA Live, come down, and experience LA Live for yourself! If you’re looking for a place to eat, this is the place to go. With tons of different restaurants to choose from, you’ll be sure to leave happy and satisfied. Looking for a good old-fashioned burger? Then, come to Smashburger where they serve 100% Certified Angus Beef that is fresh and never frozen. Think maybe you could go for some pizza? Live Basil Pizza is the place for you. At Live Basil Pizza, your pie is made right in front of you! Looking instead for a place to have some drinks? The Glance Lobby Bar is a modern bar with an international selection of wines, excellent cocktails, as well as a variety of domestic and international beers. Speaking of drinks, there are some places at LA Live that offer happy hour specials! At Rosa Mexicano, for example, happy hour is from 4-7pm. You’ll be able to enjoy half-priced cocktails and appetizers, and yes that includes margaritas, yum! Looking to see a movie? Great! There is a Regal Cinema at LA Live for your convenience. In fact, just for the summer, LA Live is once again offering Dinner and a Movie. At participating restaurants, you can get special pricing discounts on dinner PLUS a movie ticket at Regal Cinemas, all for just $30! The restaurants participating in this great deal are Lawry’s Carvery, Rock’n Fish, Katsuya, and The Farm of Beverly Hills.